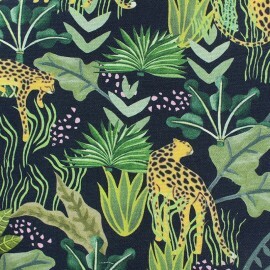 Adopt this beautiful Leopard Canvas Upholstery Fabric with exotic jungle patterns and leopards on a grey background. 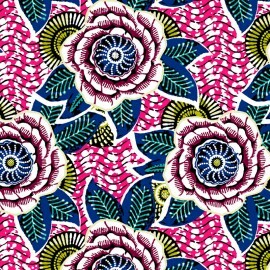 Create curtains, cushions and tote bags with this 100% cotton fabric. 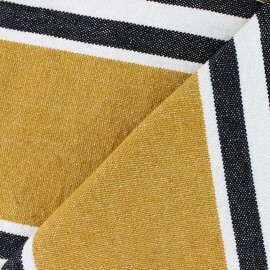 Discover this beautiful Chowpatty 100% cotton woven fabric with its black stripes on a raw and ochre background. 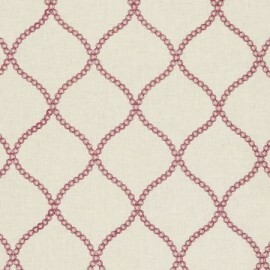 A timeless fabric inspired by ancient weavings. 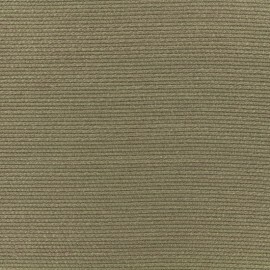 This fabric is soft but thick, it is ideal for making fine carpets, bags, decorations, cushions and accessories. 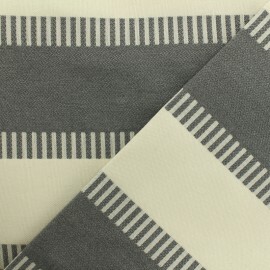 Discover this beautiful Chowpatty 100% cotton woven fabric with its black stripes on a raw and grey background. 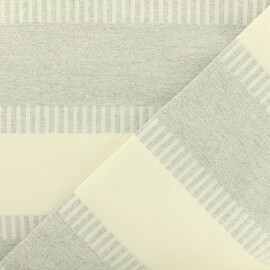 A timeless fabric inspired by ancient weavings. 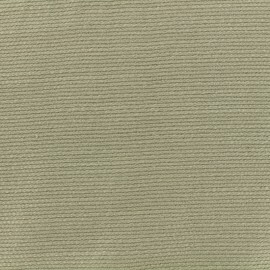 This fabric is soft but thick, it is ideal for making fine carpets, bags, decorations, cushions and accessories. 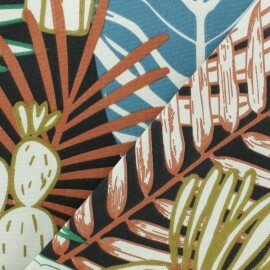 Adopt this beautiful Tara Canvas Upholstery Fabric with colorful large palm leaves and cactus patterns on a black background. 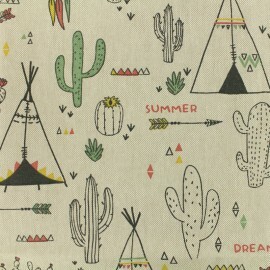 Create curtains, cushions and tote bags with this Oeko-Tex certified and 100% cotton fabric. 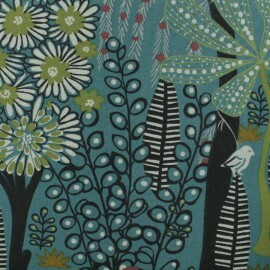 Adopt this beautiful Idaho Canvas Upholstery Fabric with colorful large natural patterns on a pretty peacock green background. 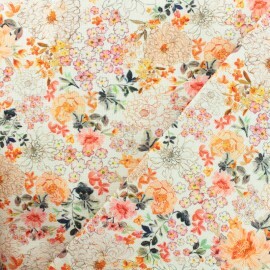 Pretty flowery trees, flowers and animals patterns on this fabric. 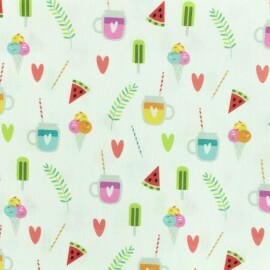 Create curtains, cushions and tote bags with this Oeko-Tex certified and 100% cotton fabric. 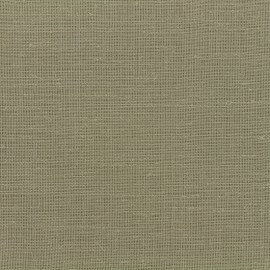 Adopt this beautiful Idaho Canvas Upholstery Fabric with colorful large natural patterns on a grey background. 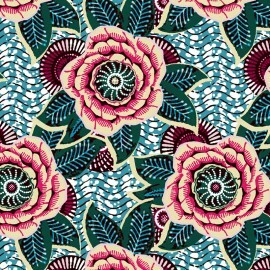 Pretty flowery trees, flowers and animals patterns on this fabric. Create curtains, cushions and tote bags with this Oeko-Tex certified and 100% cotton fabric. 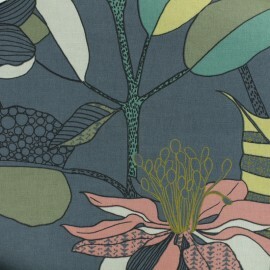 Adopt this beautiful Khéops Canvas Upholstery Fabric with colorful large exotic flower patterns on a grey background. 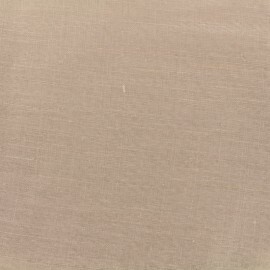 Create curtains, cushions and tote bags with this Oeko-Tex certified and 100% cotton fabric. 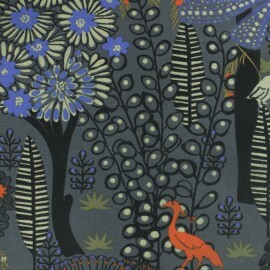 Adopt this beautiful Khéops Canvas Upholstery Fabric with colorful large exotic flower patterns on a dark blue background. Create curtains, cushions and tote bags with this Oeko-Tex certified and 100% cotton fabric. 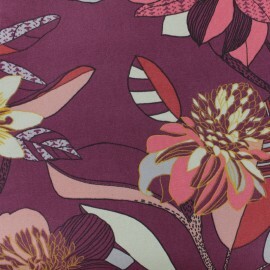 Adopt this beautiful Khéops Canvas Upholstery Fabric with colorful large exotic flower patterns on a purple background. Create curtains, cushions and tote bags with this Oeko-Tex certified and 100% cotton fabric. 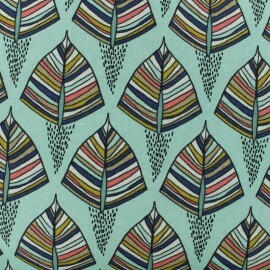 Adopt this beautiful Ekozi Canvas Upholstery Fabric with colorful leaves on a light green background. Create curtains, cushions and tote bags with this Oeko-Tex certified and 100% cotton fabric. 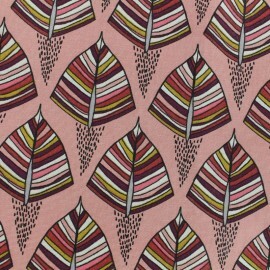 Adopt this beautiful Ekozi Canvas Upholstery Fabric with colorful leaves on a pink background. 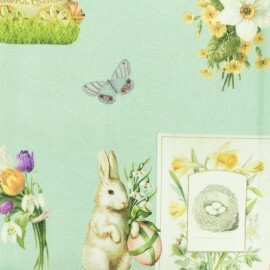 Create curtains, cushions and tote bags with this Oeko-Tex certified and 100% cotton fabric. 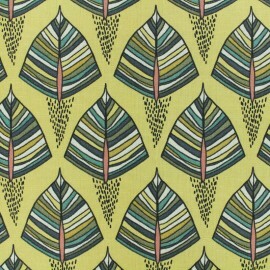 Adopt this beautiful Ekozi Canvas Upholstery Fabric with colorful leaves on a yellow background. 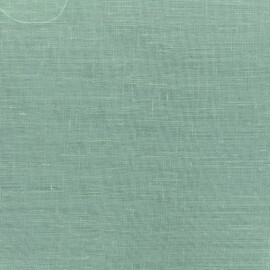 Create curtains, cushions and tote bags with this Oeko-Tex certified and 100% cotton fabric. Discover our fabulous poly canvas curtains! 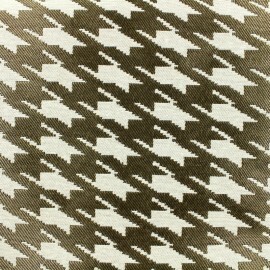 A fabric inspired by the typical weavings of the southwest that will bring a nice effect to your curtains. 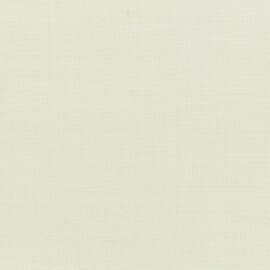 Ideal for charming interiors, this canvas will draw space and expand perspectives. A must! Discover our new curtain poly lin special curtains! Lightness combines with transparency for a timeless effect. 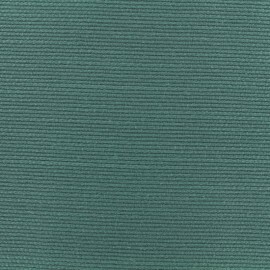 We completely fall for the sharp colors of the range that will combine with leisure the color of the most trendy walls! This light veil is to be adopted urgently! 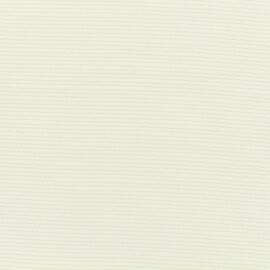 The perfect cotton canvas fabric with impressive watercolor style is Made in Spain and designed by Mestral. 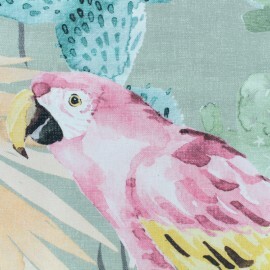 The exotic ambiance given by cactus and parrots is ideal to imagine a large beach bag for this summer! 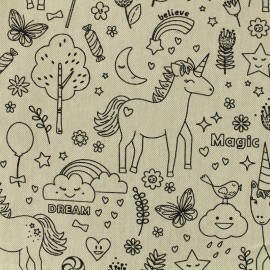 The perfect cotton canvas fabric with unicorn details, to imagine a large beach bag for this summer! 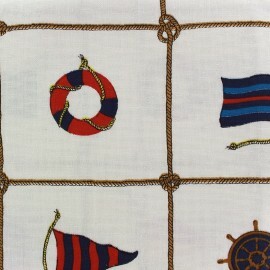 The perfect cotton canvas fabric with cute childish details, to imagine a large beach bag for this summer! 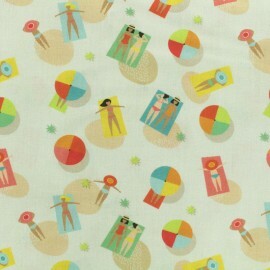 Really nice pattern with a cute illustration of swimmers. 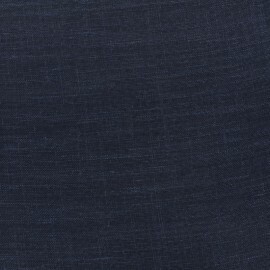 A full color fabric which will inspire you great ideas! 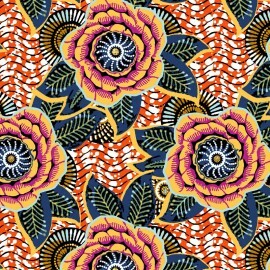 This amazing flowers printed cotton fabric will be perfect to create cushion for your gypsy decoration. 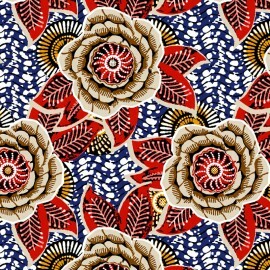 A boho inspired pattern which will seduce all the ethnic ambiance lovers! Wonderful! 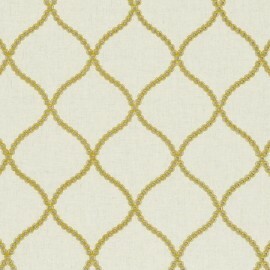 Our woven upholstery fabric is one of our best-sellers! Made of two or several fiber yarns interlaced, it is durable and thick. Made of a cotton blend or a polyester blend, our woven fabrics are great when it comes to reupholster or give your home a makeover. 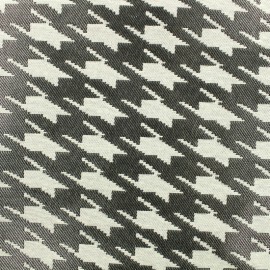 Choose among our plain weave fabric and design your home. 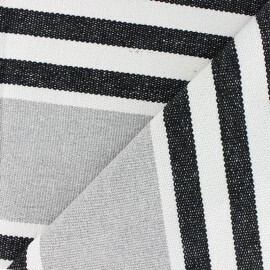 Your online fabric store Ma Petite Mercerie is a great place to find upholstery woven fabrics. 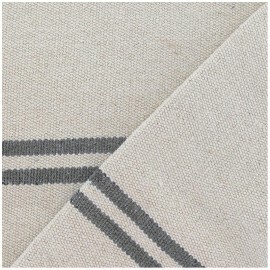 Trendy and modern woven fabric comes in various colors and designs. 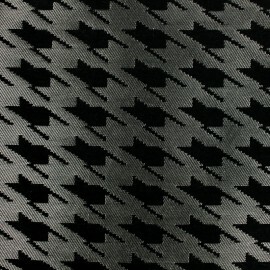 Discover our large selection of novelty woven fabric. 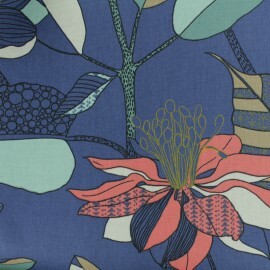 Choose from our great upholstery fabric section and create wonderful pieces. Among our high quality fabrics, you will find cute patterns and designs: nautical, floral, chevrons, stripes, graphic and animal print. 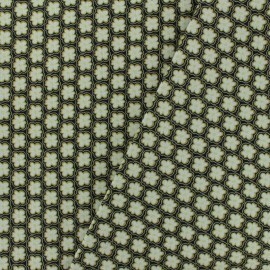 Plus, fell in love with our blackout fabric, and cork fabric. 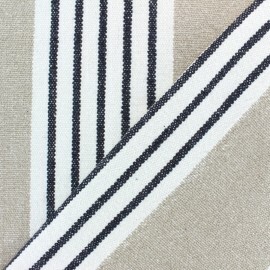 Our home decor woven fabric is available by the meter. Our minimum order quantity is 10 cm. Also, you can buy offcuts starting from 10cm. 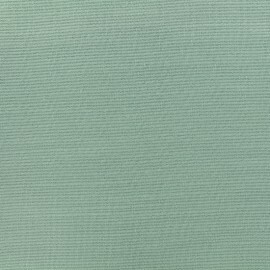 Plus, you can order swatches prior to ordering your fabric. 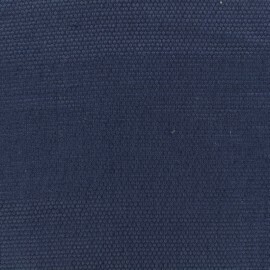 Twill weave fabric is easy to handle, for all sewing level. Easy to sew, choose a poplin or a lightweight fabric to stitch elegant cushions. 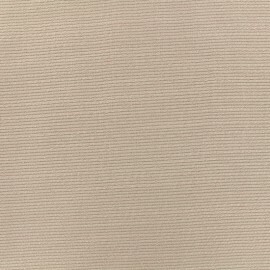 Then, add a canvas if you desire a stylish garment. 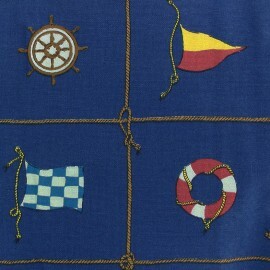 In addition, you can combine fabrics with coated cloth and stitch unique pieces. Use your sewing machine, needle, stitch, rulers, pins, needles and threads, and sew the perfect swivel, ottoman, palisade dining table, futon or settee. Repair, restore or redo any pieces of furniture with upholstery supplies. You will find it in our upholstery supplies section. Finally, add nice embroidery to your textile thanks to our resistant embroidery threads and stitch your own custom bedding set, sheets or cushion.